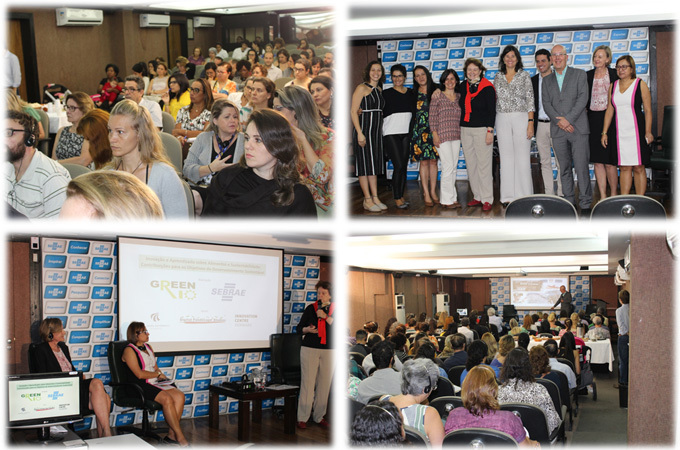 Green Rio Workshop, held on September 24th in Sebrae RJ, Rio de Janeiro, brought together more than 120 participants in the debate on nutrition, innovation and healthy meals in schools. Through the support of the Danish Consulate, the event had Professor Bent Mikkelsen of Aalborg University presenting projects related to education, food and technology. Among them, a robotic device to identify healthy foods, which also uses Lego pieces and was demonstrated to who was present. Mariangela Rosseto spoke on behalf of Sebrae RJ and Denmark’s Innovation Consul, Tina Gottlieb, welcomed the participants. Complete Workshop presentations are available in English or Portuguese (Danish in English / Brazilian in Portuguese).